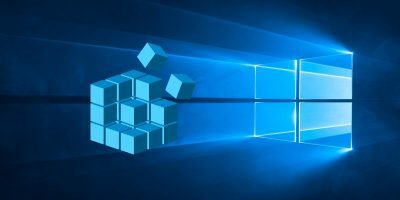 Windows Explorer, for all the incremental changes made over the years, has remained tremendously familiar. 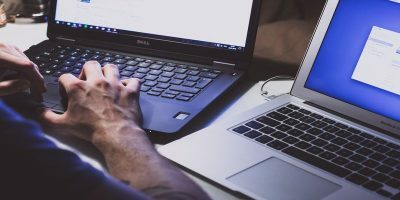 It makes sense for companies to avoid drastic changes in these areas given that they could alienate users. 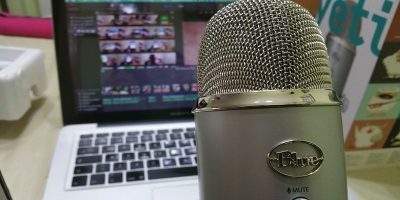 At the same time, there are changes many users would like to see. One such change is adding tabs to Explorer so that you can move around different folders without opening another window. 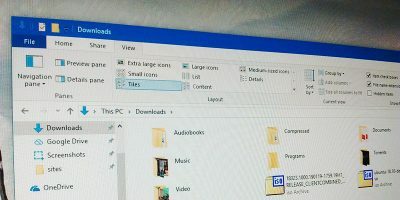 After all, web browsers have moved beyond that design paradigm, so why doesn’t the file explorer? As it turns out, you can make that happen, and in this article we’ll show you how. 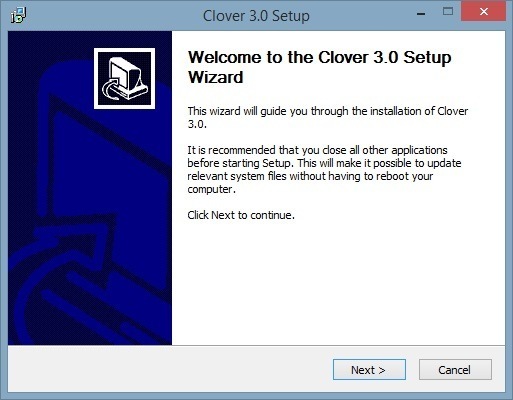 Begin by downloading Clover from the developers’ website. 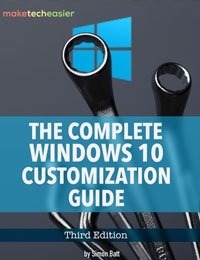 The software is compatible with Windows 7 and 8/8.1. You can try it with Windows 10 if you’d like, but do so with caution. 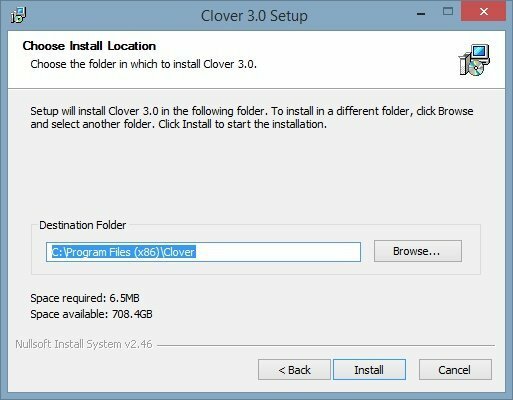 Clover downloads as a 2.5MB .zip file containing the executable installer, and the installer is extremely simple. We saw no “offers” or “deals” to download other software while installing Clover, and this can only be a good thing. At the end of the installation process, the taskbar along the bottom of the screen should disappear. This is symptomatic of explorer.exe being closed, and it should reappear momentarily. Following this period, you should be able to open an Explorer window with tabs enabled. If not, right click the taskbar and select “Open Task Manager,” then move across to “Details” in its tabs. 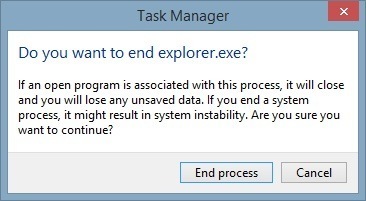 Find “explorer.exe,” click it, and End Task. Then, click “File -> Run New Task.” Re-type explorer.exe, and you should be able to use Explorer as before. Clover’s usage takes little explanation, given how similarly it performs to Chrome. Pressing “Ctrl + T” will open a new tab, pressing “Ctrl + W” will close the current tab, and pressing “Ctrl + Shift + T” will reopen a closed tab. Even middle-clicking a tab will close it like in Chrome. 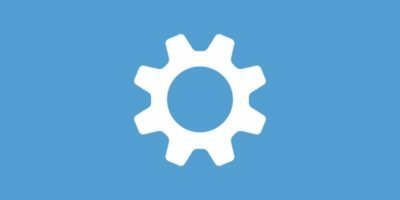 The main change from Chrome’s navigation is the mouse wheel’s functionality. Scrolling with the cursor placed over the tab bar will allow you to move between different tabs. It’s a nice touch and one that we used in a previous article on Mozilla Firefox. Most importantly, it feels like a natural form of navigation. While Clover’s main addition is the tab bar along the top of the screen, there’s another addition: The Bookmark Bar. Like Chrome, you can add frequently visited locations to this bar. If you’re frequently visiting your Music folder, you can bookmark it for immediate access. It is true that Windows has a “Favorites” section in the tree browser at the side, but the fact it’s collapsible means that should you prefer navigating your files and folders in this manner, you have to scroll frequently. The bookmarks bar eliminates that problem, and it works perfectly. Beyond this, Clover is remarkably intuitive. As a consequence of tabs being a familiar part of any modern browser, they feel totally natural to work with. 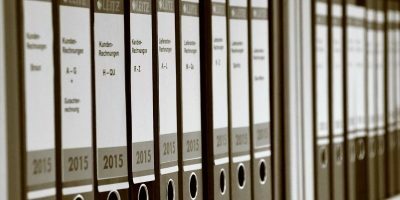 Moving a file from one tab to another? Drag it over the appropriate tab then down into the files displayed. None of this is ever explained via written documentation: it just makes sense. Clover supports themes provided they are in a .crx format. 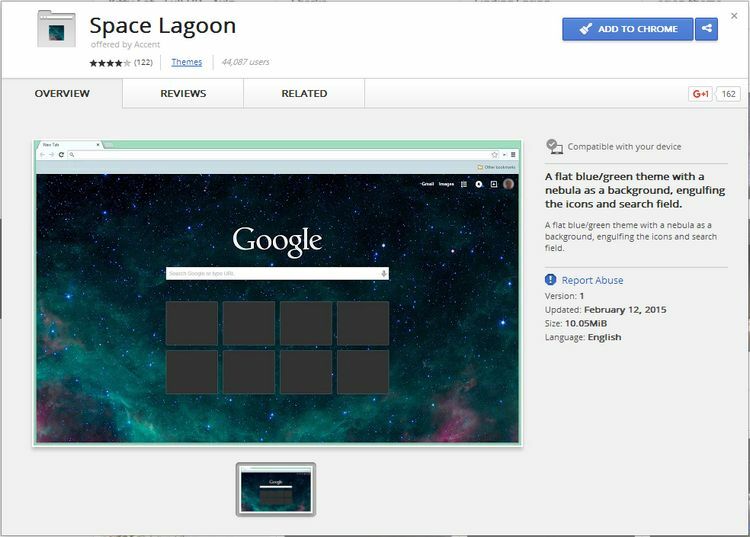 This is the same format as Chrome’s own themes, meaning you can download them from the Web Store and use them in Windows Explorer. 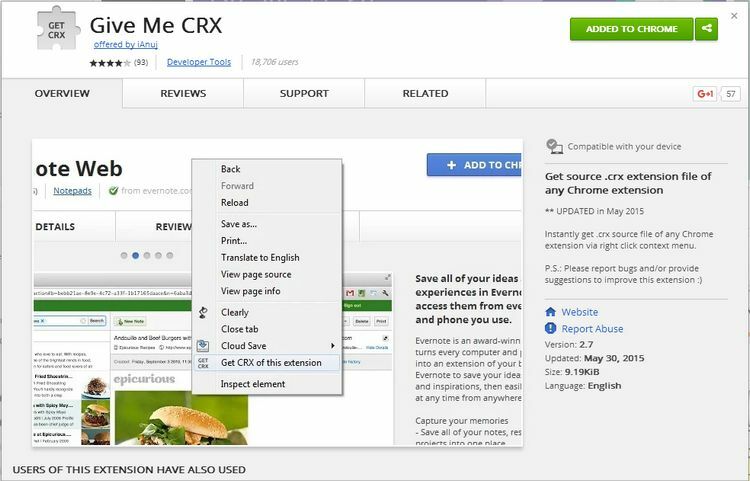 If you already use Chrome, you’ll need to install the “Give Me CRX” extension. 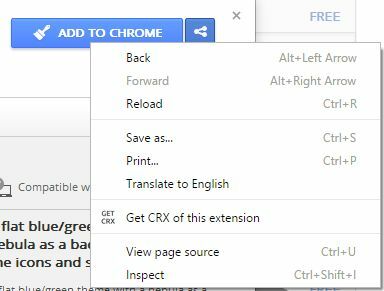 Find a theme in the Web Store once you have the aforementioned extension installed, then right click the “Add to Chrome” button and select “Get CRX” from the context menu. A new page should open, and a link to the extension should be displayed. Right click and save it to your computer. Return to an Explorer window with Clover enabled, then select the Settings icon in the upper left corner. Go to Settings, then “Get CRX.” Navigate to the file you downloaded and double click it. The theme should now be applied to Clover’s UI. Depending on the size of the theme (the example used in the article is quite large), Clover may be slow to apply the new theme. 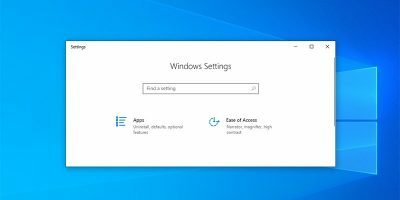 If you’re not a fan of the Chrome-style tabs, QTTabBar might be worthy of your attention as it is reported to work with Windows 10. One thing QTTabBar will lack when compared to Clover is the bookmarks feature. Nevertheless, it’s a functional alternative. There you have it: Windows Explorer, but tweaked to add a much-requested feature. It’s a simple and yet immediately noticeable change for the better. While Explorer is adequate at the moment, trying tabs for even a short period of time will greatly enhance it.